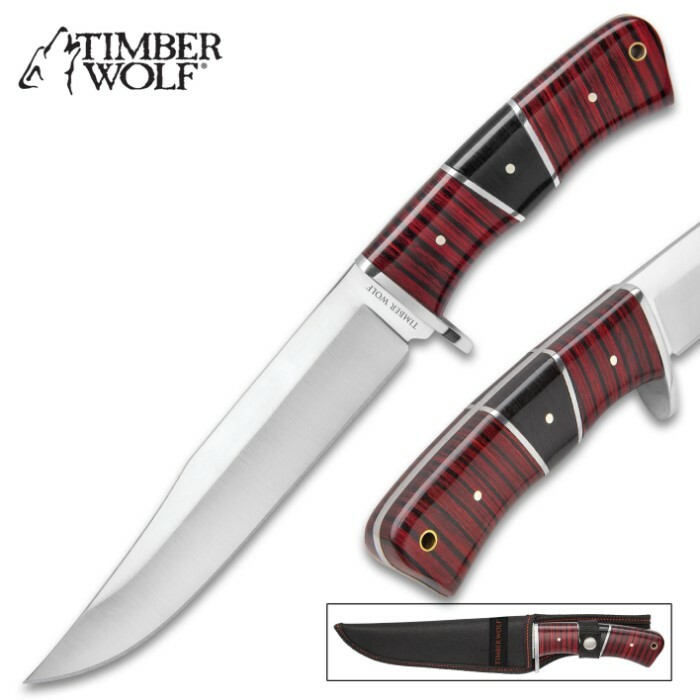 Timber Wolf Providence Canyon Fixed Blade Knife With Sheath - 3Cr13 Stainless Steel Blade, Full-Tang, Wooden Handle - Length 12” | BUDK.com - Knives & Swords At The Lowest Prices! The Providence Canyon Fixed Blade Knife from Timber Wolf makes a great addition to your gear when you’re taking that long hike down through the canyon or up that mountain trail. 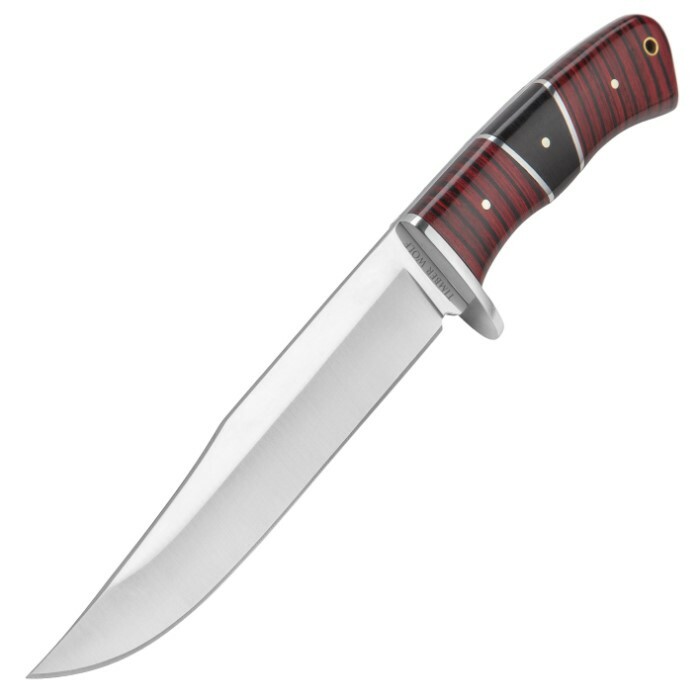 It has a full-tang, razor-sharp, 7 1/4” 3Cr13 stainless steel clip point blade with a mirror polish finish and a stainless steel guard. 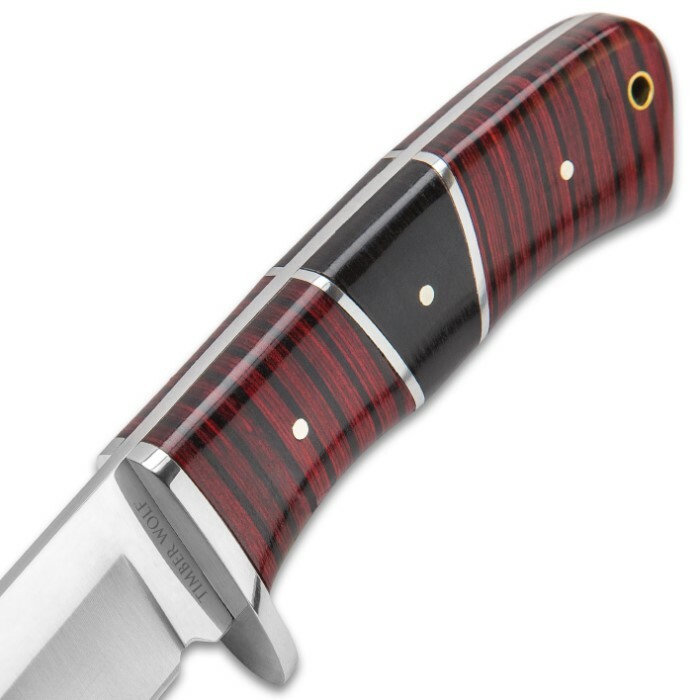 The handle has reddish-brown wooden panels with black striping, accented with a black wooden panel and stainless steel spacers and pins. 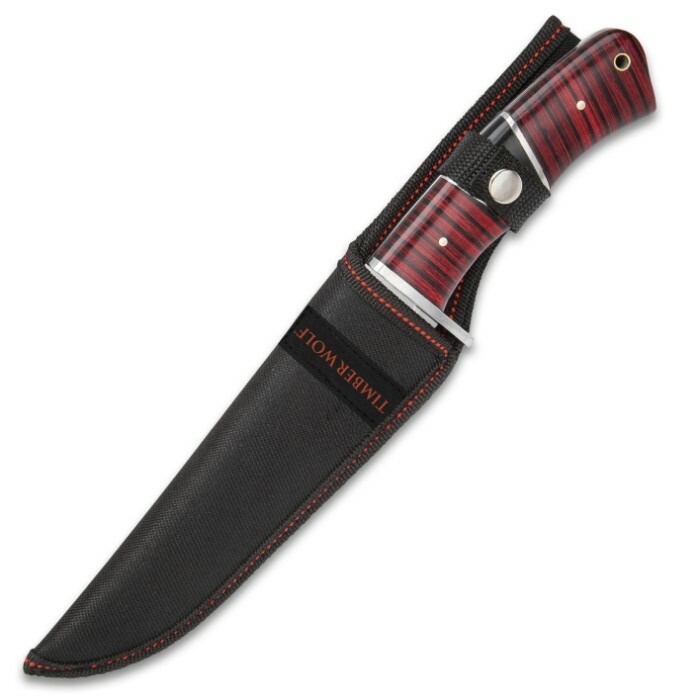 The 12” overall length fixed blade knife slides securely into a tough nylon belt sheath for storage and ease of carry.